From infancy to adulthood, trust your children’s care to the team with the dedication and specialized knowledge to put them on the path to a happy, healthy life. As your children embark on the journey of life, the medical team at Kaiser Permanente is equipped to keep their health and development on track. Children’s bodies are unique and require well-coordinated treatments developed specifically for them. The Mid-Atlantic Permanente Medical Group’s award-winning pediatricians and pediatric specialists—including pediatric cardiologists, dermatologists, gastroenterologists, neurologists, and many other specialists—can provide routine and specialized care for children, with seamless coordination that is vital but not common in health care. Making sure that your child gets coordinated care is essential for his or her health. At Kaiser Permanente, our integrated care system and electronic medical records enable our pediatricians and pediatric specialists to work together as a team, collaboratively diagnosing and treating children when issues arise. We help to keep children’s development on track with regular checkups and immunizations to protect them from serious illness and to provide proactive care. We also help to make it easy for you to manage your child’s health with reminders and alerts about upcoming appointments, prescription refills, and any follow-up care. We understand that urgent issues may arise, which is why we are available around the clock to help. For example, if your child has an earache, stomach pain, or breathing trouble, you can avoid long wait times in the emergency room by reaching out to an advice nurse by phone, scheduling a video visit, or walking into one of our 24/7 Clinical Decision Units (CDUs). Located throughout our service area, CDUs are staffed by emergency room physicians who can monitor your child for up to 24 hours in observation units. They have access to pharmacy, lab, and imaging services on-site to help diagnose and treat your child. The care teams at our Urgent Care and CDU locations have immediate access to your child’s full medical history and can coordinate follow-up care with your child’s pediatrician. For children who require specialized care, such as mental health services, we provide timely appointments with expert pediatric psychiatrists and psychologists. These specialists are trained to care for children with behavioral health issues such as attention deficit hyperactivity disorder (ADHD), depression, anxiety, or mood disorders. Pediatric developmental physicians are also available and experienced in assessing and treating children with developmental delays and disorders including autism. Our specialists provide resources, guidance, and support to you, while also helping to ensure that your child is receiving the best treatment and access to services relating to his or her diagnosis. 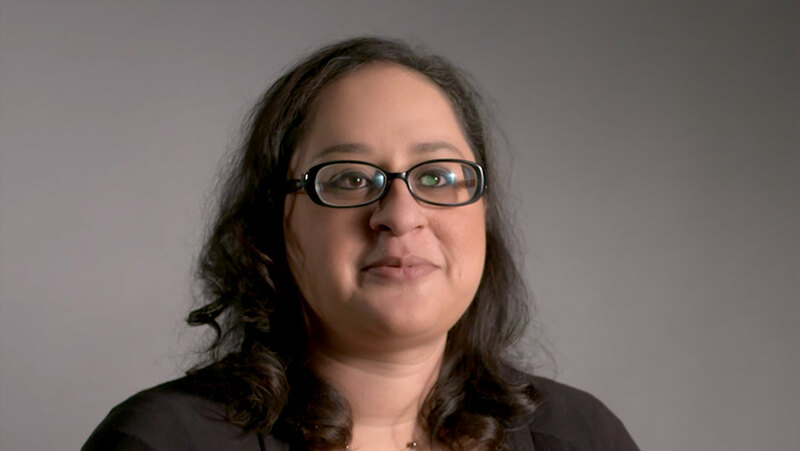 Meet Shana Gage-Wright, MD, a psychiatrist, and hear about her passion to help children lead healthy and happy lives. Every family should have full, convenient access to physicians and specialists and be well-informed about treatment options and follow-up care. We want to help make it easy for you to manage your family’s health. With Kaiser Permanente, not only can you meet with your child’s physician face-to-face, but you can also connect with your Permanente physicians by phone, email, or video. Once you register for kp.org, you can check your provider’s availability and schedule an appointment, see past visit notes, check most lab results, or order a prescription. No matter the situation—from routine appointments to specialty care to urgent care visits—our general pediatricians and pediatric specialists have you and your children covered. What makes the way we deliver care superb? Regular checkups and recommended immunizations can protect children from serious illness and start them on the path to a happy and healthy life. We have had proven success in giving our young patients the care they need, when they need it. Rapid access to specialists and testing can be key to diagnosing and treating conditions that may impact your child’s health. Our pediatric specialists partner with pediatricians to diagnose and treat complex conditions. If your child needs to undergo testing, we will use state-of-the-art equipment and child-friendly techniques to make the process as stress-free as possible. Through an exclusive partnership with the Mid-Atlantic Permanente Medical Group, Kaiser Permanente offers 80 pediatricians working in tandem with our pediatric specialists to give your family immediate access to a wide range of specialists and cutting-edge care. Helping families stay healthy and happy is one of the greatest outcomes we can achieve. Every day we work toward that outcome through the compassionate care provided by our physicians, the cutting-edge treatment available to our members, and the state-of-the-art communication methods we designed to keep you in touch and informed. Regular checkups and recommended immunizations can protect children from serious illness and start them on the path to a healthy and happy life. We have had proven success in giving our young patients the care they need, when they need it. HEDIS, or the Healthcare Effectiveness Data and Information Set, is a tool used by more than 90 percent of America’s health plans to measure performance on important dimensions of care and service. Essential screening tests help detect medical issues, but they can also help prevent potential problems, so we want your children to receive the screening tests they need. For children with sickle cell disease, for instance, we use a type of ultrasound called transcranial dopplers to check blood vessels in the brain for abnormal narrowing that could increase their chances of having a stroke as they age. Since almost one-fourth of patients with sickle cell disease have a stroke by age 45,11 patients with sickle cell disease receive this test to help physicians determine what, if any, additional testing or treatment may help reduce this risk. Rapid access to specialists and testing can be key to diagnosing and treating conditions that may impact your child’s health. Our pediatric specialists partner with pediatricians to diagnose and treat complex conditions. If your child needs to undergo testing, we will use state-of-the-art equipment and child-friendly techniques to help to make the process as stress-free as possible. Our internal chart review and telemedicine processes give our patients access to specialists while sometimes allowing them to avoid the inconvenience of making multiple appointments. When a pediatrician or family practice doctor needs guidance from a pediatric specialist, the physician can send a message requesting that the specialist access the patient’s electronic medical record and test results. The specialist then reviews the records and gets back to the requesting physician the same day with treatment guidance. If your child has a skin issue, for example, a pediatrician has the ability to send a photograph of the child’s skin to a pediatric dermatologist, who will provide guidance to the pediatrician or ask for a follow-up appointment with the child. Where possible, we use specialized equipment that can help children access medical services with the greatest ease and least amount of anxiety. When children need MRIs, which require patients to stay still, we have video goggles that allow them to watch a movie or television show during the test. By using video goggles, we increase our likelihood of getting quality diagnostic images while reducing the need for anesthesia, which can otherwise be required for children to stay still. Meet Shashi Ranganath, MD, a radiologist, and discover the new imaging technology Kaiser Permanente is using to treat its youngest patients. Throughout our service area, we have 24/7 CDUs that provide services far exceeding those available in typical urgent care centers. These services consist of advanced imaging (CT scans, MRIs, ultrasounds), laboratory tests, and medical procedures, including laceration repair, fracture management, and those requiring sedation. For young children arriving at the CDU with broken bones and other painful conditions, we can administer medicines through the nose, which is a new way for doctors to deliver medicine for pain and anxiety. These medications are painless, do not require an IV, and work within minutes, so children can be treated quickly. Our integrated care delivery system enables physicians in the CDU to leverage the advice and service of our many pediatric subspecialists to get expert care quickly and conveniently. Physicians in the CDU also work closely with the patients’ primary care doctors to help to ensure continuity of care and prompt follow-up as needed. Meet Dawn Johnson, MD, an emergency medicine physician with more than 30 years experience. Kaiser Permanente members have access to award-winning Mid-Atlantic Permanente Medical Group pediatric specialists from 12 specialties who can address a broad range of medical problems and conditions that may affect a child. Because these specialists regularly review patient charts and consult on specific cases at the request of pediatricians, many of our pediatric patients are evaluated by a pediatric specialist and receive care without ever having to make an extra appointment to see one. 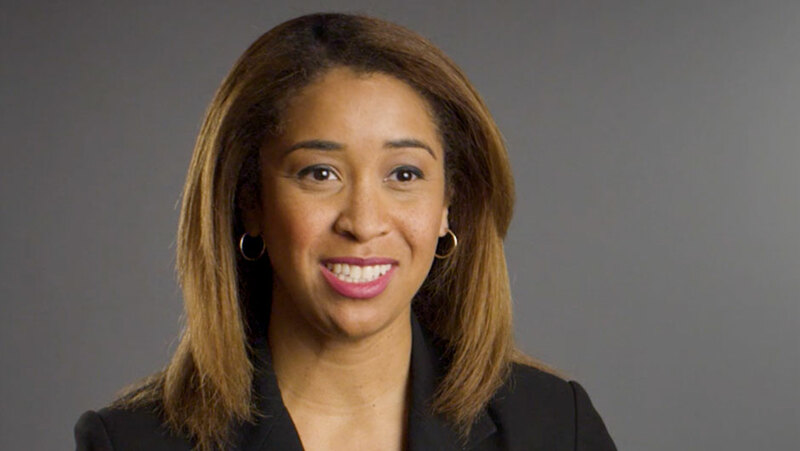 Meet Asha Willis, MD, a pediatric gastroenterologist, who specializes in issues of the stomach, intestines and liver, and hear her explain why Kaiser Permanente’s network of physicians mean you and your family get the care you need. Meet Dakara Wright, MD, a pediatric dermatologist, and hear her describe why access to a network of doctors working hand-in-hand can ensure that every condition is addressed by the right experts. Pediatric cardiologists provide care for congenital and acquired heart disease and for common to complex heart conditions in children. Pediatric dermatologists treat both common and complex disorders of children’s hair, skin, or nails. Specialists evaluate children at risk for or exhibiting developmental delays or differences, and assess conditions ranging from birth-related complications to motor or language delays and behavioral problems or differences. Pediatric endocrinologists diagnose and treat issues such as adrenal and hormone disorders and diseases; diabetes mellitus, type 1 and type 2; delayed puberty; and thyroid disorders. Pediatric gastroenterologists treat children with digestive disorders such as celiac disease and feeding problems that include poor appetite, poor weight gain, or selective eating. Pediatric hematologists and oncologists treat children with blood disorders and diagnose and treat childhood cancer. Pediatric neurologists treat children with disorders of the nervous system. Pediatric ophthalmologists treat complex eye problems, congenital disorders, and rare eye conditions such as strabismus, childhood cataracts, and glaucoma. Pediatric radiologists use state-of-the-art technology—ultrasound, X-rays, CT scans, and MRIs—to visualize the inside of the body and diagnose and treat disease in children. Pediatric urologists treat children with illnesses of the genitourinary tract. Pediatric psychologists understand the behavioral health needs of children and treat conditions such as ADHD, autism, bipolar disorder, depression, obsessive-compulsive disorder (OCD), and schizophrenia. Pediatric psychiatrists provide assessments, diagnoses, and care for children with behavioral, emotional, and developmental disorders, including ADHD, autism, anxiety, depression, and eating, learning, and panic disorders. The best cancer care relies on the teamwork of doctors, nurses, pharmacists, and other professionals working closely with patients and their families. Kaiser Permanente’s integrated system makes us uniquely qualified to care for these patients over the long term. Even our youngest patients can benefit from participating in clinical trials for new drugs, procedures, and treatments. Our pediatric oncologists participate as clinical investigators in the main national cooperative clinical trials program, the Children’s Oncology Group (COG). Through our collaboration with Children’s National Health Systems, we also access other clinical trials, as well as pediatric stem cell protocols, for our pediatric cancer patients. The pediatric hematology/oncology department at our Capitol Hill Medical Center has an infusion clinic exclusively for children to get IV chemotherapy, biotherapy, and immune therapy infusions and transfusions. We have created a child-friendly atmosphere in the infusion center and in the pediatric hematology/oncology clinic, where our staff members are focused on the comfort and well-being of our youngest patients. A social worker is on-site, along with a child life specialist (who helps children face their procedures with little pain and with age-appropriate distractions) and a phlebotomist. Our goal is for our patients and their families to feel calm and well cared for by the expertise and warmth of our staff. The American Academy of Pediatrics strongly recommends that older teenagers/young adults with certain ongoing health conditions participate in a program to transition from pediatric to adult care providers. With our integrated system and electronic medical record, Kaiser Permanente is uniquely equipped to provide this type of transition. For example, we created multidisciplinary transition programs for teenagers who are long-term cancer survivors or have sickle cell disease. Beginning when patients are 15 to 16 years old, their physicians discuss with them the need to eventually transition to an adult physician. The patients receive annual questionnaires about their conditions, and the health care team educates them if they have any gaps in their knowledge. If they feel ready when they are 17 to 19 years old, the physicians and patients meet jointly with a multidisciplinary team (e.g., social worker, pharmacist, nurses educated in sickle cell disease, or an adult hematologist) to discuss whether they are ready to transition smoothly to adult care. The team then works with them to help make that transition while meeting their health care goals. Helping families stay healthy and happy is one of the greatest outcomes we can achieve. Every day we work toward that outcome through the compassionate care provided by our award-winning physicians, the cutting-edge treatment available to our members, and the state-of-the-art communication methods we designed to keep you in touch and informed. We are proud that, as a result, our members have high satisfaction with our pediatricians’ medical expertise and communication skills. 90% of patients rated their pediatrician’s skills and ability as very good or excellent. 90% of patients were confident that their pediatrician provided very good or excellent care. "My 13-year-old daughter felt extremely comfortable and confident with Dr. Christina Brown. She asked Dr. Brown questions that can be uncomfortable for a teen girl to ask and feels like she trusts Dr. Brown. As a parent, I was extremely impressed with Dr. Brown's ability to connect to my daughter immediately, the care she took to listen to my daughter and I, and her knowledge and recommendations after the visit." "I absolutely love Dr. Wiata Weeks! She shows a genuine interest in my child's total well-being, not only physical condition. She is thorough and is sure to answer any of our questions. I feel comfortable talking to her about anything, and she responds to emails promptly. She even called at the beginning of the school year to check on my son's progress in school and to make sure there were no concerns. I can't say enough good things about Dr. Weeks." "Dr. Ruby Dey is absolutely amazing! She has been my children's doctor for the last 10 years, and it has been a terrific experience. She is so bubbly, upbeat, and excited to see the kids. It's apparent that she truly loves her job and her patients. She treats the children with respect and always explains to them what she is doing during the exam while empowering the children to be in control of their own bodies. I trust in her to provide the best health care for my children. We are so thankful to have Dr. Dey!" "Dr. Panayiota Koroulakis has always been a pleasure to be with. When I first became pregnant, I already knew who I wanted my daughter's pediatrician to be, as she was also my pediatrician. She is attentive, calm, trustworthy, easy to communicate with, and genuinely cares for the well-being of my daughter." "Dr. Christopher Pretorius has been an excellent pediatrician for our daughter! For two new parents to a baby who had trouble gaining weight at first, he was very calming and reassuring. He has been very pro-breastfeeding (again, helpful as a first-time mom), and I specifically remember him asking about my well-being during the initial visits with our infant daughter. We absolutely love Dr. Pretorius." "Dr. Joseph Vander Walde: I love the fact that Dr. Vander Walde always follows up with me when the kids are sick, and he explains stuff completely. Any time I email Dr. Vander Walde, he always responds within 24 hours. All of my kids and grandkids are patients of Dr. Vander Walde. Thanks, Dr. Vander Walde." Male and female adolescents with at least two HPV vaccines, with different dates of services that are at least 146 days apart on or between the member’s 9th and 13th birthday OR at least three HPV vaccines with different dates of service on or between the member’s 9th and 13th birthdays. Per Kaiser Permanente’s Member Patient Satisfaction (MPS) 2017 survey results. The testimonials, statements, and opinions presented on the website are applicable to the individuals making the statements. The testimonials are representative of member experience but the exact results and experience will be unique and individual to each member. The testimonials, statements, and opinions presented in physician and patient videos are applicable to the individuals depicted. Not all programs described here are suitable for all patients. Results will vary and may not be representative of the experience of others.